James Joyce and Enrico Caruso nearly met but despite Joyce’s best efforts it was not to be. The writer wrote to several newspapers in Dublin asking them to take an interview he might do with the world renowned tenor. Despite Joyce emphasizing his knowledge of music and his proficiency in Italian his requests fell on deaf ears. Caruso arrived in Dublin on August 18 1909 to give a concert in the Theatre Royal, Hawkins Street. A review of the concert was written by ‘Jacques’ in The Irish Independent on August 21 1909. Below are extracts from the review. In he came. Nothing very imposing about Caruso the man … In a fleeting glance you note the man’s dark, close-cropped head, the heavy face (minus the moustache), the pugilist’s jaw, the small inset eyes. He has the shoulders and headpiece of a wrestler. He dressed very plainly. He was jaunty on his feet – small feet for a weighty man – and it was perhaps in compliment to his Irish audience that he wore grass green socks on those small feet, as he wore shamrock in his buttonhole. He sang many times – eight times in all I think – after this through the afternoon. The first song Set remembers hearing is sung by Caruso, courtesy of a neighbor’s gramophone. 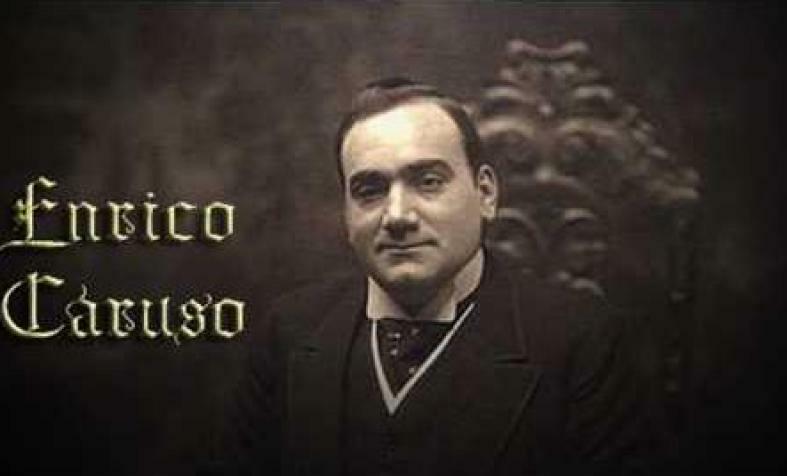 The version of Santa Lucia below was recorded by Caruso on March 20 1916.